Buffy: When did you guys hang out? Xander: Oh, she was fighting one of those, uh, apocalypse demon things, and I helped her. Gave her a ride home. Buffy: And you guys talked? Buffy: Then why would you… Oh. Willow: I don’t need to say ‘oh’. I got it before. They slept together. Wesley: Ah. This is perhaps Faith? Buffy and Giles: New Watcher. Buffy: Now, why didn’t I just say that? Faith: She got me really wound up. A fight like that and… no kill… I’m about ready to pop. Faith: You up for it? Xander: Oh, I’m up. I’m suddenly very up. It’s just, um… I’ve never been up with people before. Faith: Just relax… And take your pants off. Xander: Those two concepts are antithetical. Xander: I’m good. We’re fine. Just a little bit dirty. Good show, everyone. Just great. I think we have a hit. Xander: Tip-top, really. If anyone sees my spine laying around, just try not to step on it. Buffy: Xander, one of these days, you’re gonna get yourself hurt. Buffy: Or both. And, you know, with the pain and the death, maybe you shouldn’t be leaping into the fray like that. Maybe you should be… fray-adjacent. Xander: Excuse me? Who, at a crucial moment, distracted the lead demon by allowing her to pummel him about the head? Faith: Yeah. That was real manly how you shrieked and all. Xander: I think you’ll find that was more of a bellow. This post is part of the Movie Scientist Blogathon, hosted by Christina Wehnerand Silver Screenings. Day 1 is all about good scientists, day 2 is for mad scientists, and day 3 covers lonely scientists. Scientists are often lonely creatures. Between the time they spend in labs, doing research, sorting through endless data, and working on equipment, it’s easy to see why. But while scientists in the real world often work in teams with others, movie scientists typically don’t have that luxury, making movie scientists some of the loneliest characters onscreen. In the movies, scientists are often at odds with society or those in power, often serving as the lone voice of reason in a chaotic story. Frequently they have to pursue their studies alone, whether by choice or because they’ve been ostracized from everyone else, and sometimes their passions and beliefs make it hard for them to connect to others when the opportunity arises. No matter if the movie scientist is a good one, a mad one, or even an evil one, loneliness seems like it’s typically part of the journey for these characters. 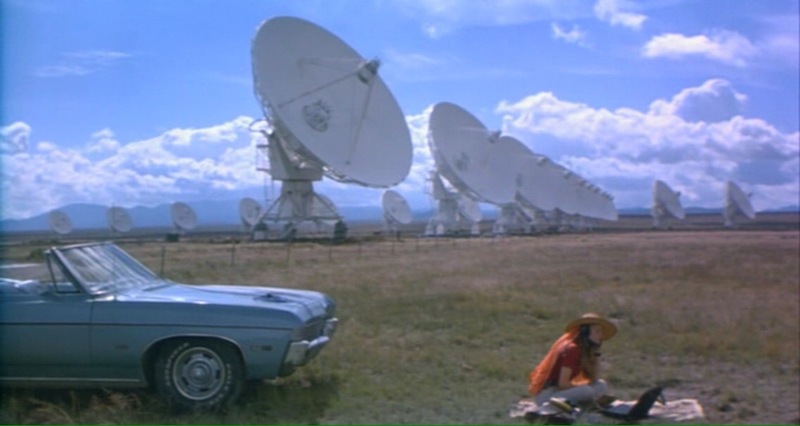 And in my mind there’s no lonelier scientist on film than Ellie Arroway from Contact. Willow: And over here, we have the cafeteria, where we were mauled by snakes. Xander: And this is the spot where Angel tried to kill Willow. Willow: Oh, and over there in the lounge is where Spike and his gang nearly massacred us all on Parent-Teacher night. Oh, a-and up those stairs, I was sucked into a muddy grave. Xander: And they say young people don’t learn anything in high school nowadays, but, um, I’ve learned to be afraid. Faith: You guys are a hoot and a half. If I’d had friends like you in high school, I… probably still would’ve dropped out. But I might’ve been sad about it, you know? Giles: There’s a Watchers’ retreat every year in the Cotswolds. It’s a lovely spot. It’s very serene. There’s horse riding and hiking and punting and lectures and discussions. It-i-it’s… it’s a great honor to be invited. Or so I’m told. Faith: Oh, it’s boring. Way too stuffy for a guy like you. Buffy: Um, maybe I should introduce you again. Faith, this is *Giles*. Faith: I see him. If I’d’ve known they came *that* young and cute, I would’ve requested a transfer. Buffy: Raise your hand if ‘ew’. Giles: Well, um, uh, leaving aside for a moment my, uh, youth and beauty, I’d-I’d say it was, um, fortuitous that Faith arrived when she did. Willow: Aha! (They all look at her) Sorry. I just meant… aha! There’s big evil brewin’. You’ll never be bored here, Faith. ‘Cause this is Sunnydale, home of the big brewin’ evil. Oz: Something occurring. Uh, now, you both kill vamps, and who could blame you, but, I’m, I’m wondering about your position on werewolves. Willow: Oz is a werewolf. Buffy: It’s a long story. Buffy: Apparently not that long. Faith: Hey, as long as you don’t go scratchin’ at me or humpin’ my leg, we’re five-by-five, you know? 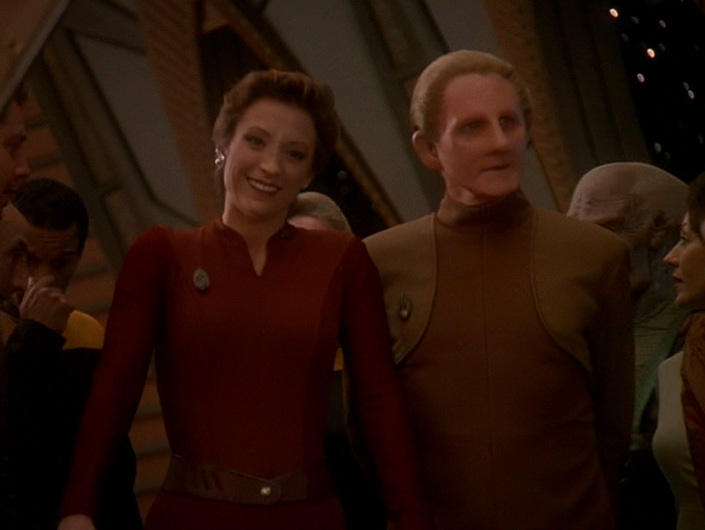 Odo: Forgive me, Major, I don’t mean to be difficult, but your faith seems to have led you to something of a contradiction. Kira Nerys: I don’t see it as a contradiction. Kira Nerys: That’s the thing about faith. If you don’t have it you can’t understand it, and if you do – no explanation is necessary.